Welcome to the recipe section of the WPMC website. If you wish to publish a recipe send the details to site-admin@wpamushroomclub.org. Please include one or more pictures of the finished dish if possible. Pictures of the starting ingredients and steps are also accepted and can be used. We request that no direct copies of recipes from books or other websites are submitted. Ideally these are recipes for dishes a member brought to a meeting, pot luck or Foray. They may have originated in a book or magazine but should be club member tried and true. If your recipe is based on a published recipe please include the reference to the original. 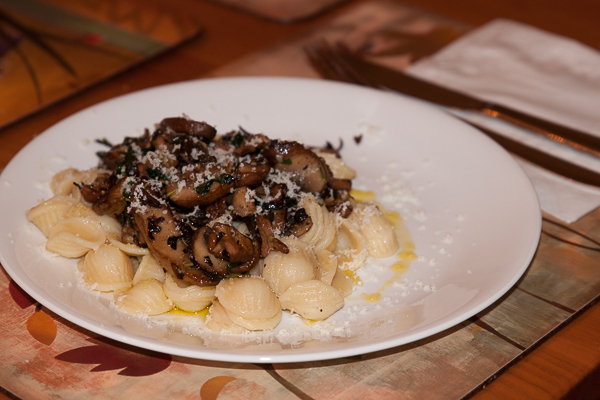 We look forward to receiving recipes for some of your favorite mushroom dishes. Potato, Corn and chicken of the woods chowderBy George HarrisA good summer or autumn soup for a crowd. 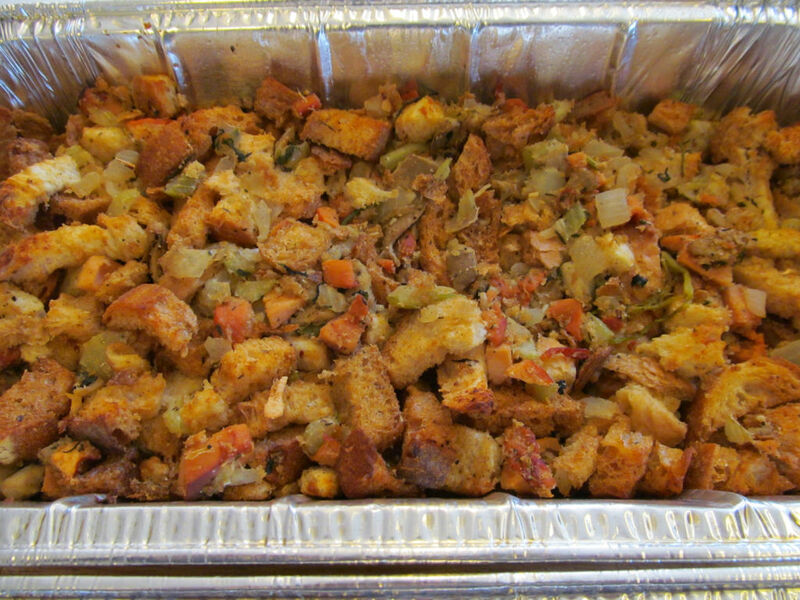 Wild Mushroom StuffingBy Cecily FranklinJust in time for Thanksgiving, here’s a recipe for Wild Mushroom Stuffing from Richard & Cecily Franklin. Late season mushroom soupBy Richard JacobThis recipe is based on Jamie Oliver's Real Mushroom soup published in Jamie's Dinners. Serves 6 people as an appetizer. 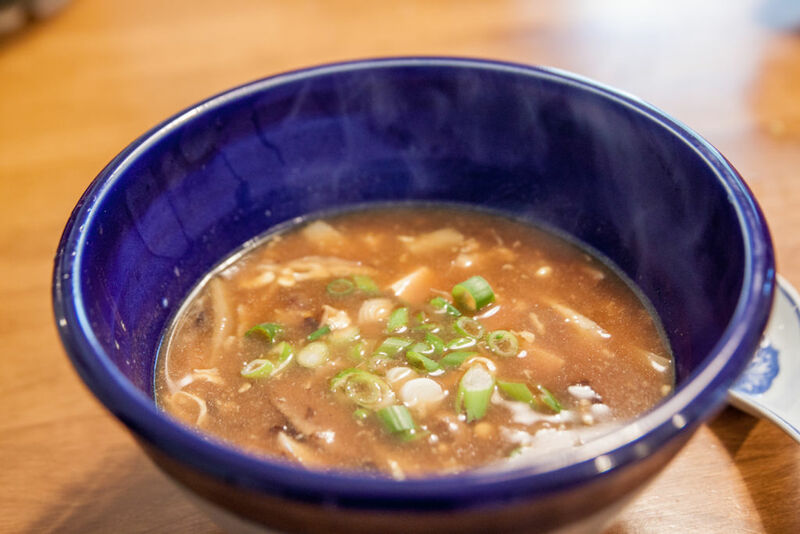 You can use a mixture of any wild or store brought mushrooms for this soup. I've been out for a few walks with the family picking the odd bag of autumn mushrooms as I go along. If you are lucky you might still find a few Late Fall Oyster or Brick tops. 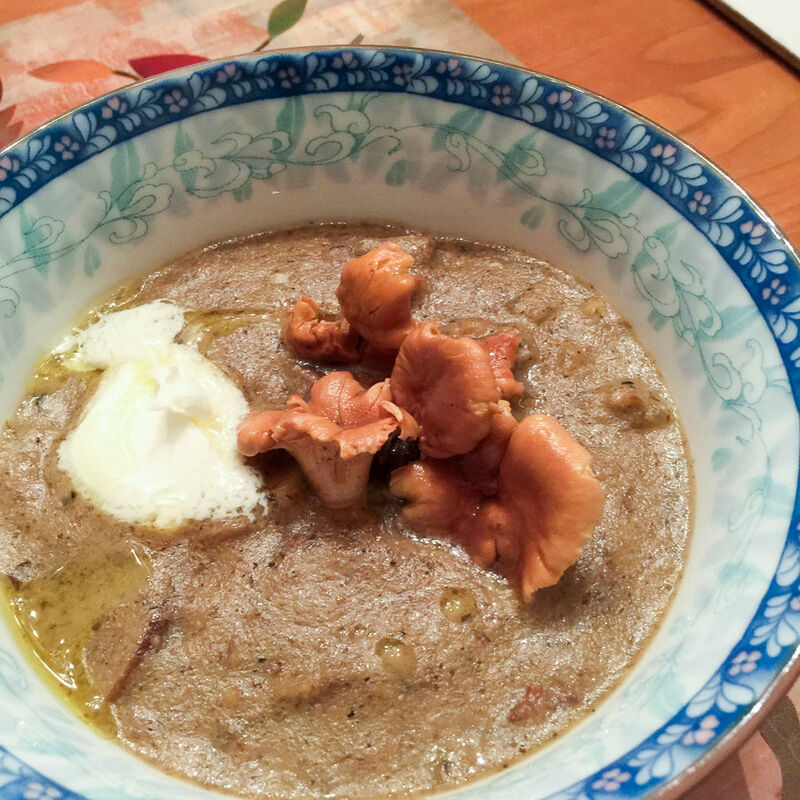 The nice thing about this soup it that it has a good base of mushrooms without too much dairy or stock. The citrus from the lemon zest and juice or in my example the last of the summers pickled chanterelles, cut the richness of the soup nicely. 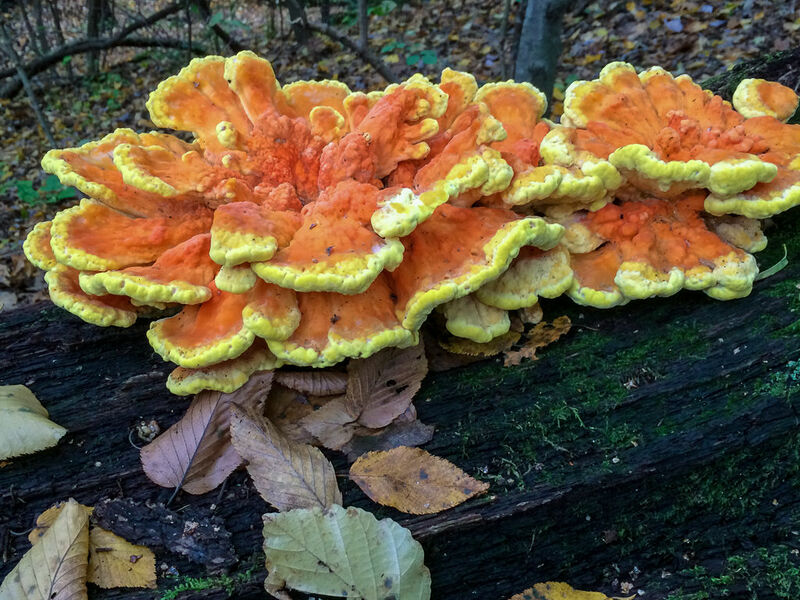 Hot and Sour soupBy Richard JacobMorel season has arrived a bit later this year but that does not mean there are no edible mushrooms available for collecting. On a recent club walk in Hartwood acres we found quite a lot of Wood Ear mushroom Auricularia auricula, which is a jelly fungus in the family Auriculariaceae. In Asia a different species of Wood Ear mushroom, Auricularia polytricha, is used in cooking. You can find fresh or dried Auricularia polytricha in the Asian stores on the strip in Pittsburgh. The wood ear fungi are used in Asian dishes for their crisp, snappy texture and their color rather than their taste. You need quite a lot of them to make a decent sized dish so I supplemented this recipe with Shiitake mushrooms. Like many Chinese recipes there is quite a bit of preparation but the actual cooking is very quick. Serves 6 people as an appetizer. Pasta with mushroomsBy Richard JacobThis is a little different from the classic pasta and mushroom dishes in that it does not use cream or dairy as a base for the sauce. The recipe works well with Farfalle shaped pasta, bow ties or butterflies, but any medium sized pasta shape would work. For the pictures I used Orecchiette as that is what I had available. Serves 4 to 6 people as a main course.